Love God. Love Others. Challenge Yourself. The Upper School program is designed to be the capstone of a well-rounded, rigorous, and relevant education. The curriculum challenges students to develop according to the schoolwide goals. 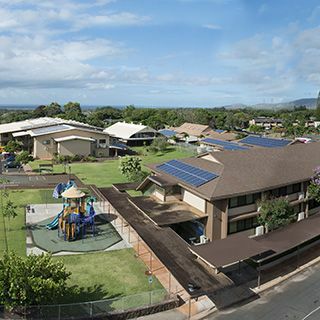 As a university preparatory school, Hanalani promotes academic and personal excellence. As a distinctively Christian school, our students establish a Christian worldview, Christian character, and 21st Century Skills to be effective community leaders. With diligence, determination, and self-discipline, students are given the tools to be successful as they pursue their dreams and future. 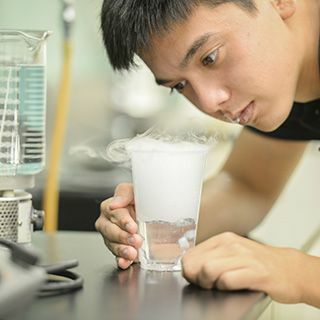 Beyond the 21st Century Skills and core classes, our students have vast opportunities in co-curricular activities and STEAM-focused courses. Daily teaching from the Bible gives students the foundation for daily living. Hanalani isn't just training for college, it's training for life! 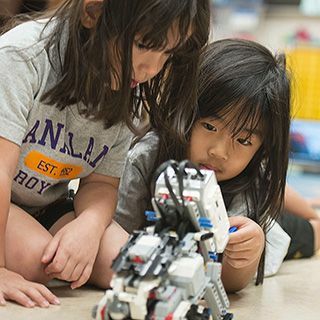 Hanalani Schools offers quality STEAM focused classes that cover the fields of Science, Technology, Engineering, Arts, and Math. Not only are our students getting real world experience in design and engineering, but an expanding fine arts program allows students to express talent in music, studio art, or drama. 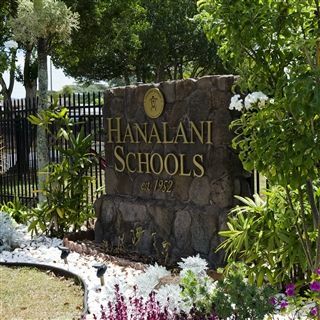 Hanalani Schools has provided quality education for students from Australia, China, Germany, Japan, Korea, Mexico, Ukraine, Vietnam, and West Africa. In the Upper School, students are mentored to be a wise person, a productive citizen, a healthy individual, and a maturing Christian. 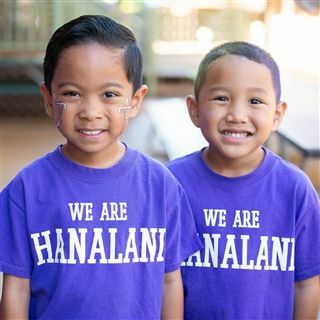 Hanalani Upper School offers a challenging academic program which has been grounded in excellence for over 50 years. Giving back to the community is taught through hands on community service projects. Academic counseling, college advising, and scholarship help are just a few of the college prep training students receive. Students participated in: Bowling, Cross Country, Girls and Boys Volleyball, Cheerleading, Canoe Paddling, Girls and Boys Basketball, Girls and Boys Soccer, Wrestling, Track and Field, Baseball, Softball, Judo, Golf, and Tennis. Our upper school students have been accepted to the college of their choice 100% of the time for years! Above is a map of just some of the colleges and universities that our graduates have attended.